Supposedly, the concept of a blog for authors is to “engage with the reader.” The experts tell me that people want to hear all sorts of blathering and “personal interactions,” to make followers feel special, like they have some sort of backstage access. I think the whole thing is odd, though I certainly don’t mind the occasional esoteric fusillade railing against incongruities in social norms. In keeping with this “engage with the reader” bit, I’ll share some hot air about my book publication. 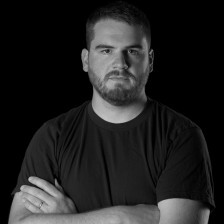 #14 was done a while ago, and I am officially letting my blog readers in on it, months later, which defeats the whole backstage access theory. I’ll let you in on a secret: #15 has been on the market too (it’s on Amazon, held under wraps, of course), and I am measuring 4cm dilation for #16! Don’t tell anyone. 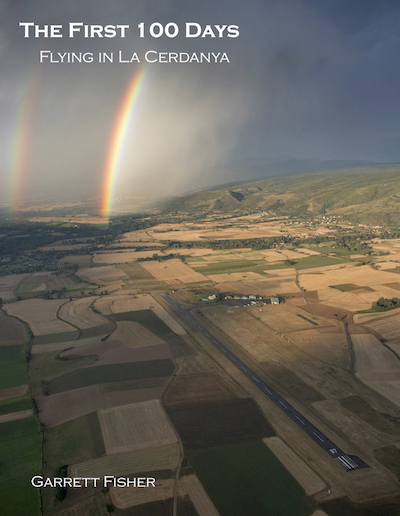 This latest title “The First 100 Days: Flying in La Cerdanya” is a slightly new subject template, where I chose to show 1-2 photographs of each of my first 100 flights in Cerdanya. One always includes Cerdanya and related environs, whereas optional image #2 contains where I went on that flight, out of the area. It is noteworthy that I flew 100 times in less than a year, which is a bit of a deluded, fanatical obsession, but I digress. I could try the whole poor fundraiser angle. For every book that is sold, I get enough royalties for 6 minutes of fuel, which is so financially unappealing that I wish I didn’t calculate that quippy factoid. The link below will go to the book page on my site, which will link to Amazon in the USA and Europe.